First, I want to thank you for your super sweet comments on yesterday's post. You know how to make a girl feel good! More outfit posts - sold! Hopefully I won't be so nervous next time! 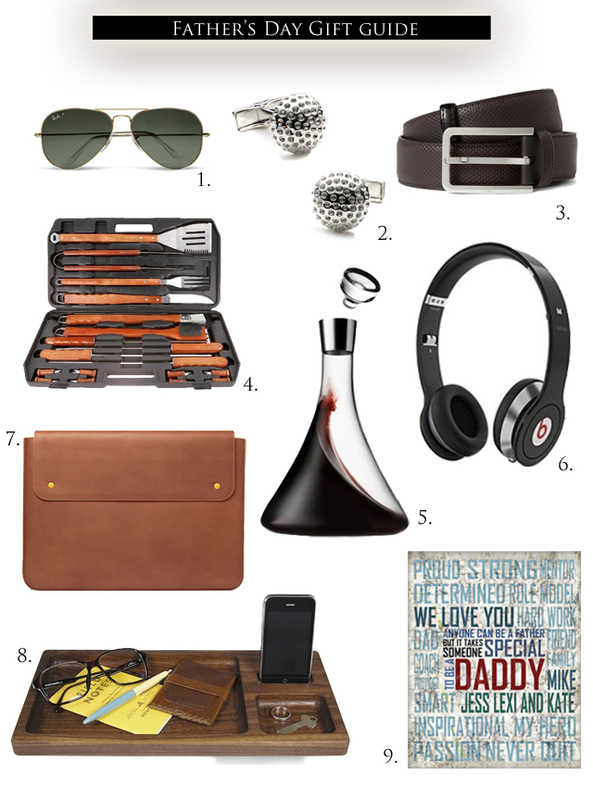 Well, Father's Day is coming up, so I thought I would put a few items together for the fathers in your life. I'm loving the iPhone tray. It helps, or at least should help, keep a guy organized. Some guys seem to just throw stuff anywhere right??!! Don't even get me started on that... :) The personal poster is my fave. Personable and sentimental gifts are always the best in my book. Would you agree? Great ideas! My dad would love the BBQ set!